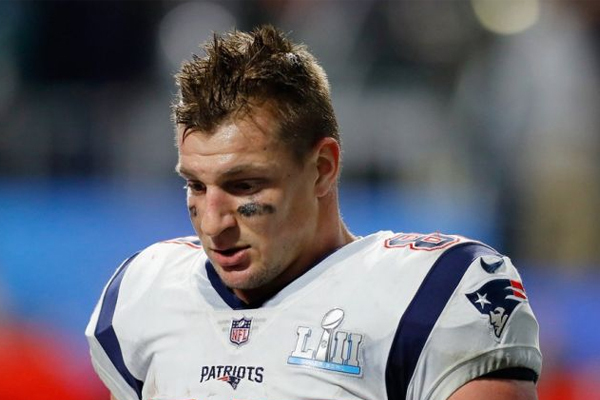 After losing the SuperBowl, New England Patriots Rob Gronkowski is possibly contemplating a future without football. Following the loss, Gronk wouldn’t give a firm indication about what his plans are for the upcoming season. While Gronkowski has put up Hall of Fame-worthy numbers over his eight-year career, he’s also dealt with injuries. With exception to his concussion from the AFC Championship game, he has stayed relatively healthy this year — logging 1000-plus receiving yards and eight touchdowns. If Gronkowski does retire, Tom Brady would lose one of his best weapons. Gronkowski has scored 76 regular-season touchdowns, 12 TDs in the playoffs and caught nine passes for 116 yards and two touchdowns in the Super Bowl loss to the Eagles.